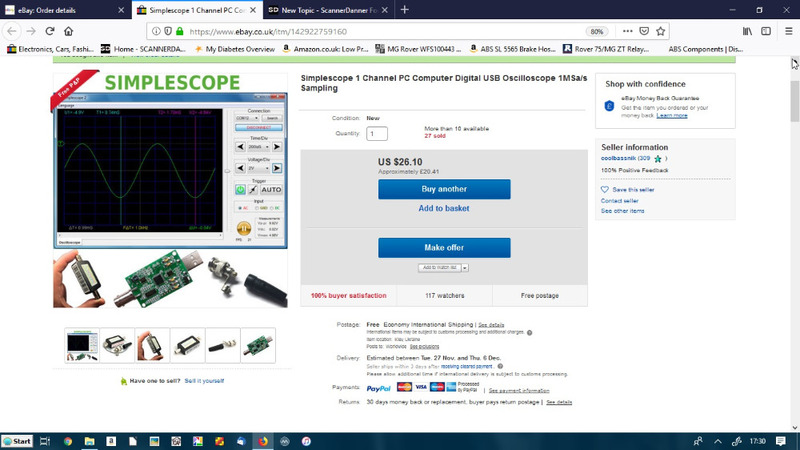 I am always pushing that any scope is 1000x better than no scope so as an experiment I have decided to take one for the team and have ordered the cheapest possible usb scope that looks like viable tool --- I will try it on basic automotive tasks and compare the captures it with some from proper puka scopes. I'm very interested in the results of the test. That's a good idea! Update ---- Interesting experiment but to all intents and purposes useless not worth even trying to do any kind of report on it. Lol, oh well. Sometimes trash is just trash ? Still a good learning experience, just goes to prove, you get what you pay for!